Last weekend I drove an amazing final, starting from 5th position. 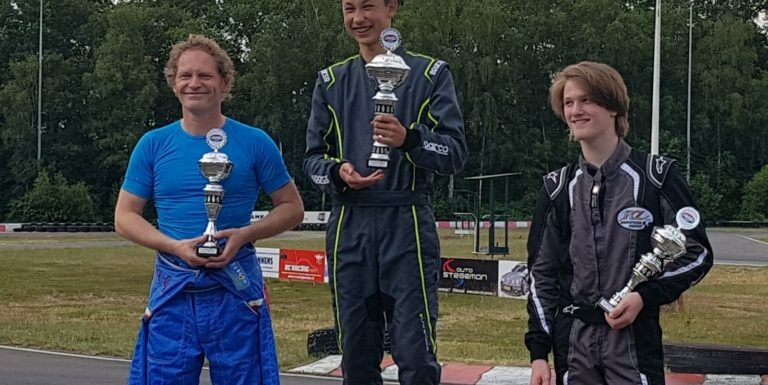 It was the 5th race for the Dutch Rentalkart Championship. I overtook 3 drivers in 1 curve, and managed to pull away from those 3. In the last few laps I was able to put pressure on the leader, but the race was too short to win. Very good result, getting closer to the World Championships in july. Next Post: Double podium on the same day!